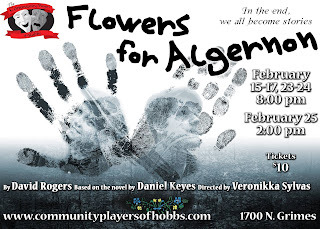 The Community Players of Hobbs: Flowers for Algernon opens this week! Flowers for Algernon opens this week! Flowers for Algernon opens this week! Get your tickets now. If you are a Middle or high school student, college student with an ID or an elementary student accompanied by an adult, or homeschooled student under 18, admission to the performance on Friday, February 16 only is FREE for students!!! Just $10 for everybody else!! Don’t miss this opportunity to see a spectacular show at a great price. Congratulations Cast of Leading Ladies! 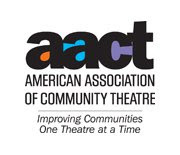 REGISTRATION YPAW 2018 "Beauty & The Beast Jr."